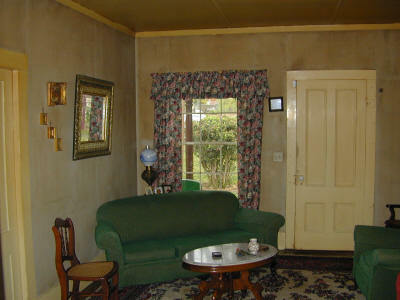 The front room, looking east to the front door. 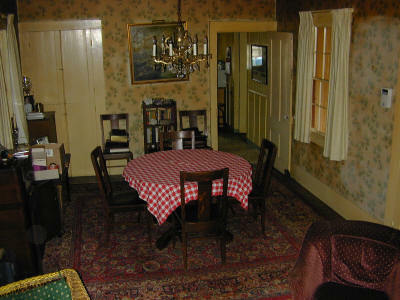 This is the original portion of the home, built in 1836. Same view, looking down to the rug. 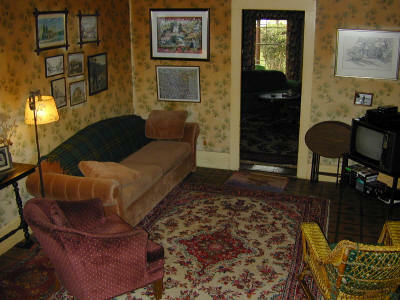 The front room, looking west. The door originally was an exterior door. 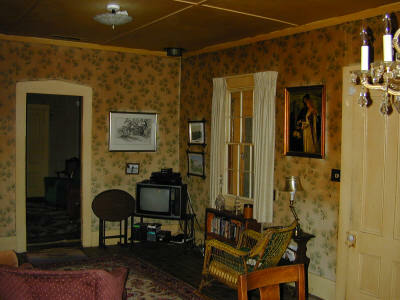 Middle room, looking south east. 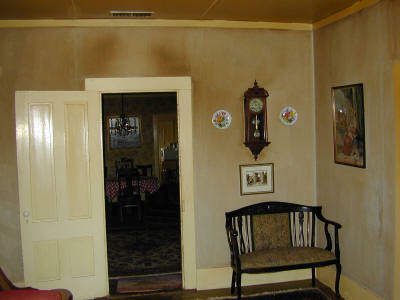 The open door is the original exterior doorway. Part of the chandelier is at the far left. Middle room looking north east. Middle room looking west to the dining area. 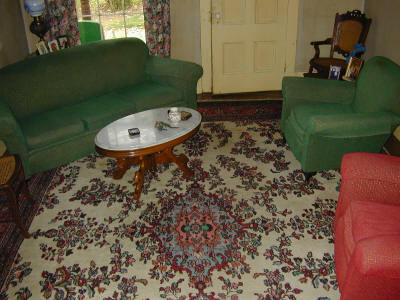 The Persian rug is quite old, possibly dating to about 1900.